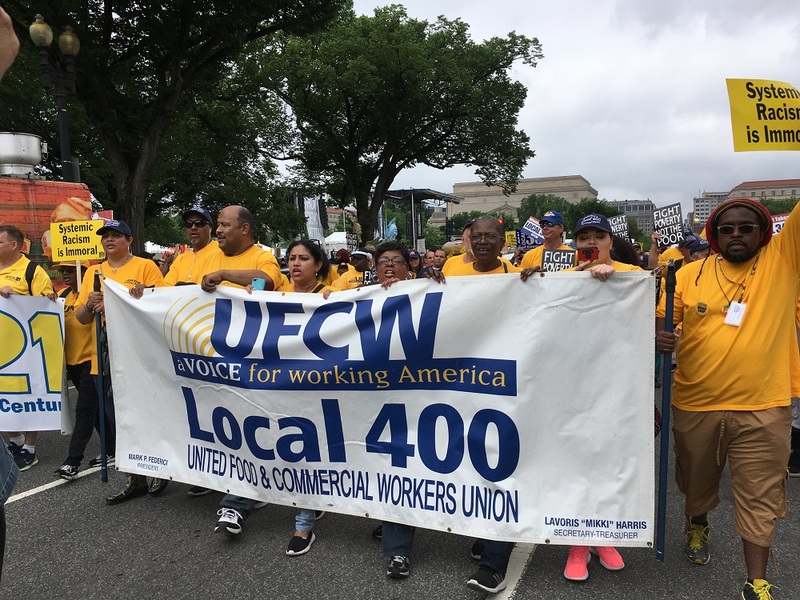 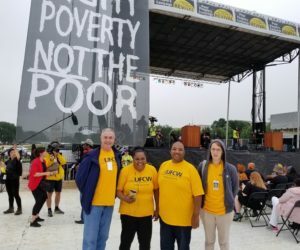 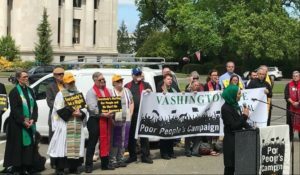 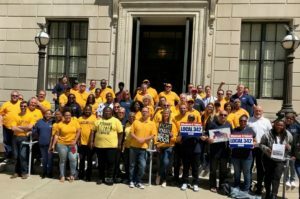 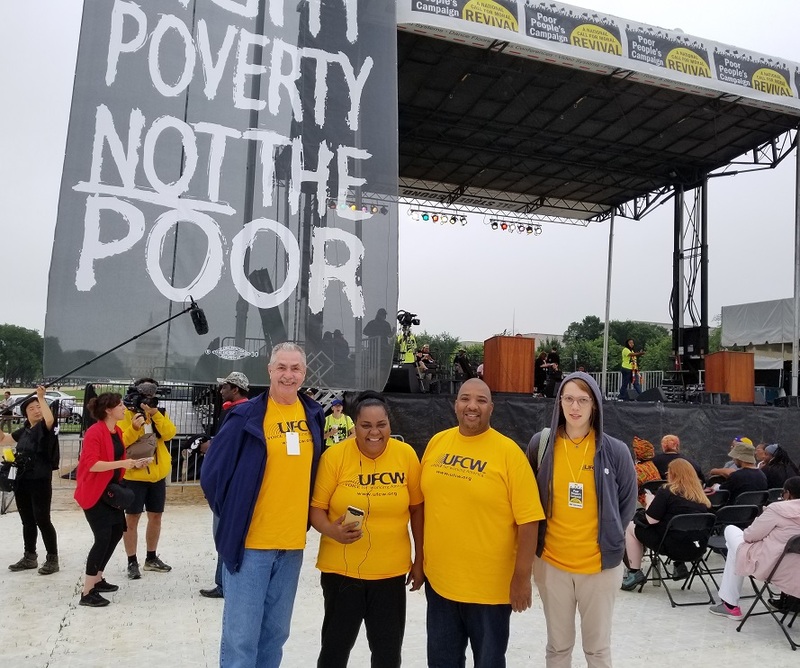 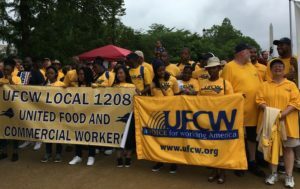 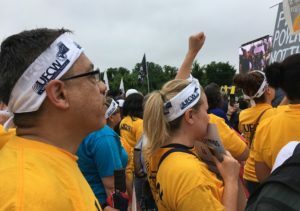 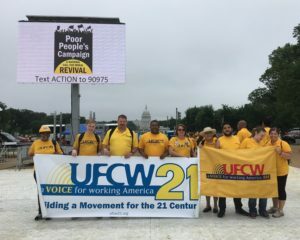 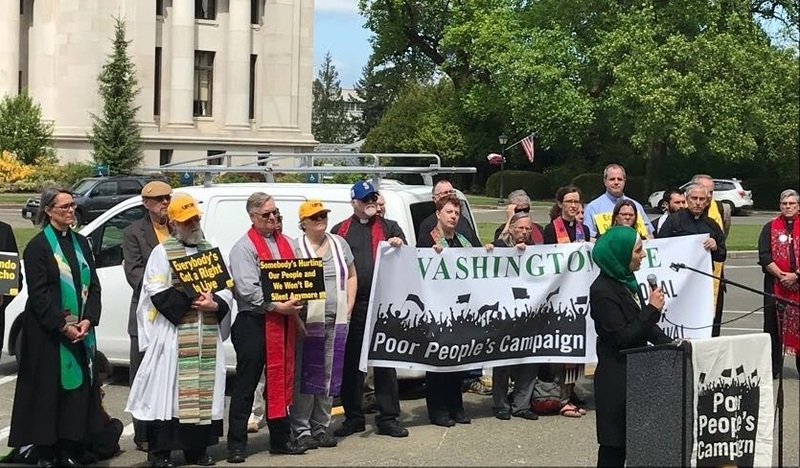 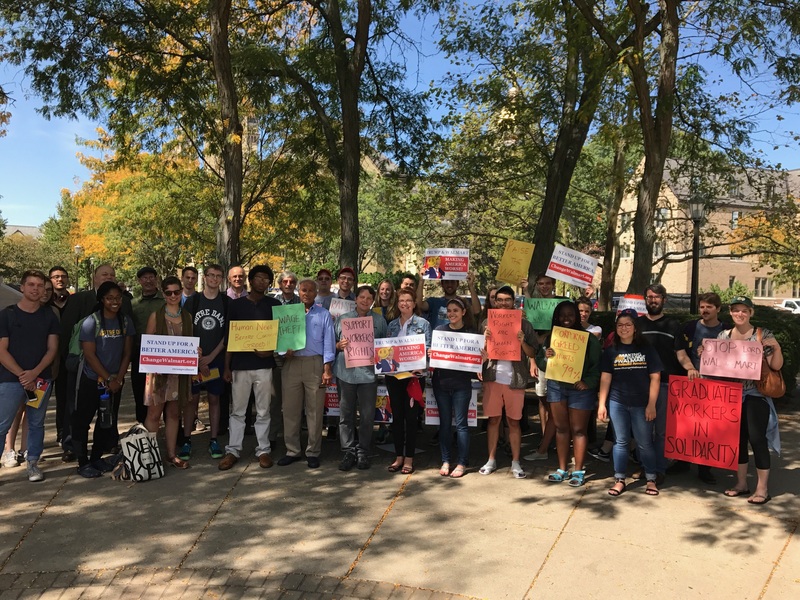 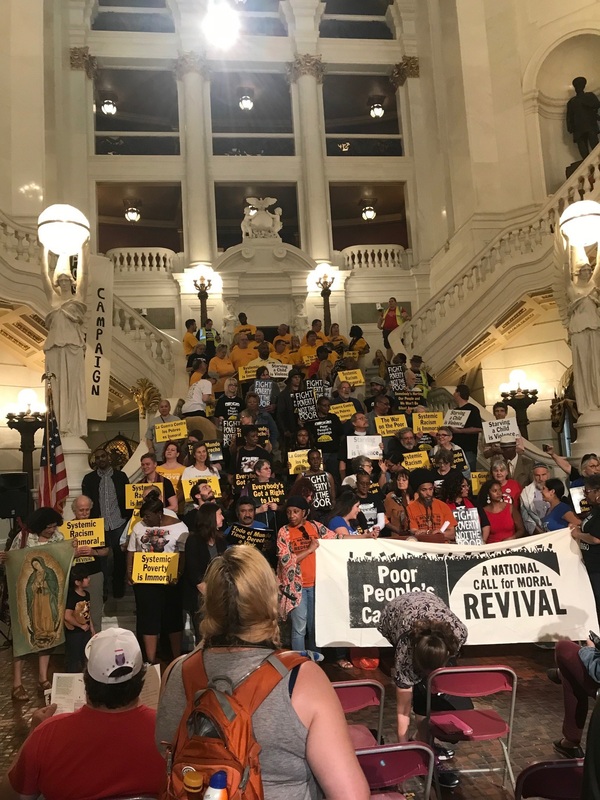 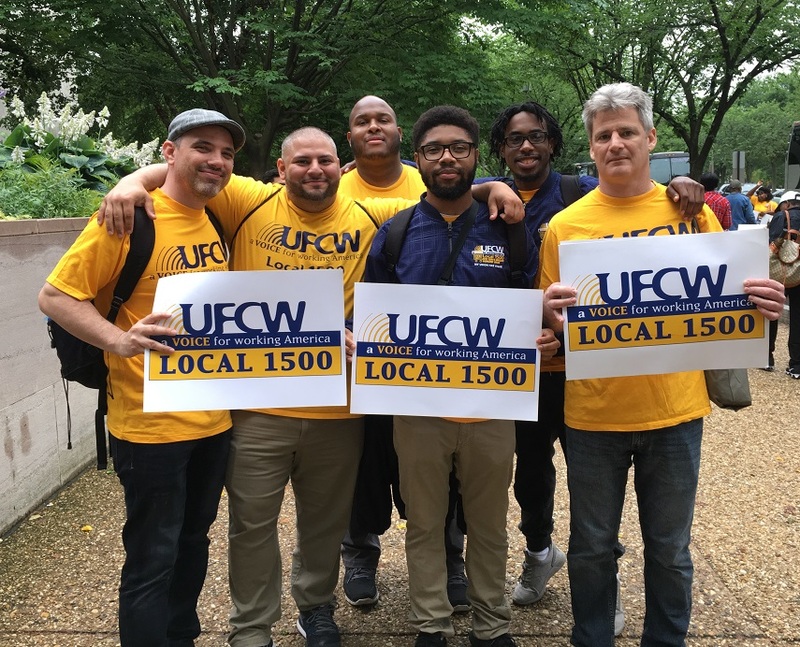 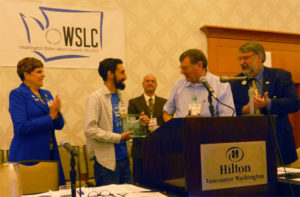 UFCW International Marc Perrone spoke at the “Global Day of Solidarity” rally, and introduced activist Cortne Lee Roché, who works as a food service employee at Earth Fare in North Carolina. 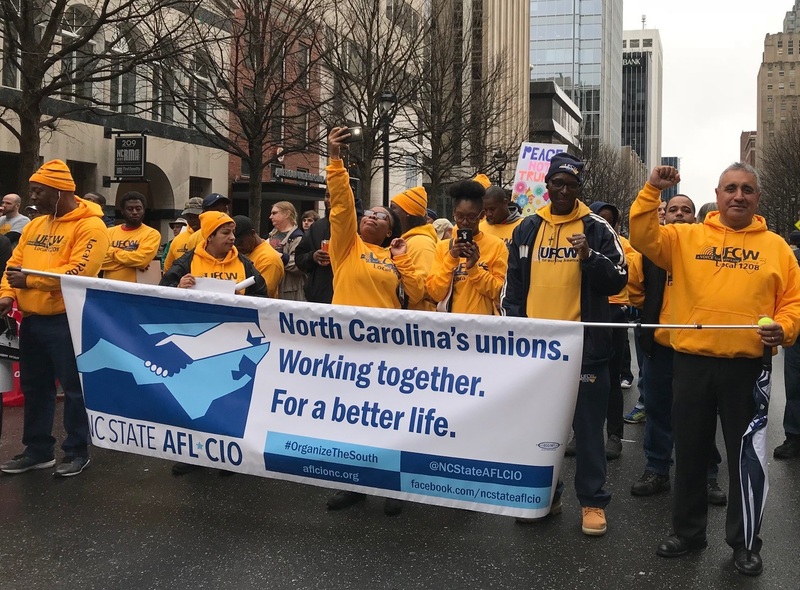 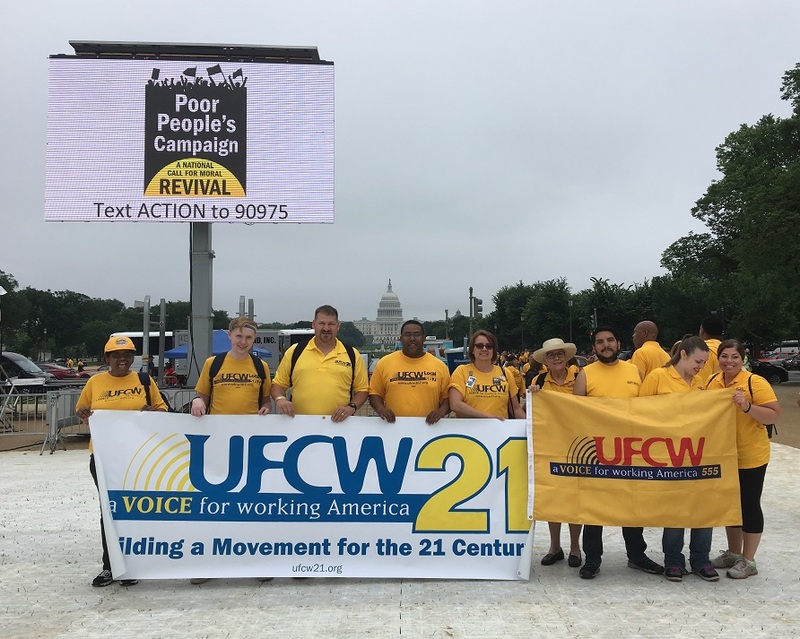 Members of UFCW Local 1208 joined thousands of allies at the Historic Thousands on Jones Street (HKonJ) People’s Assembly Coalition rally in Raleigh, North Carolina, on Feb. 10. 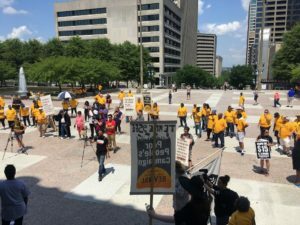 The march focused on voting rights, equal rights and other social justice issues. UFCW Local 1208 has joined this march numerous times, beginning with the Smithfield campaign. 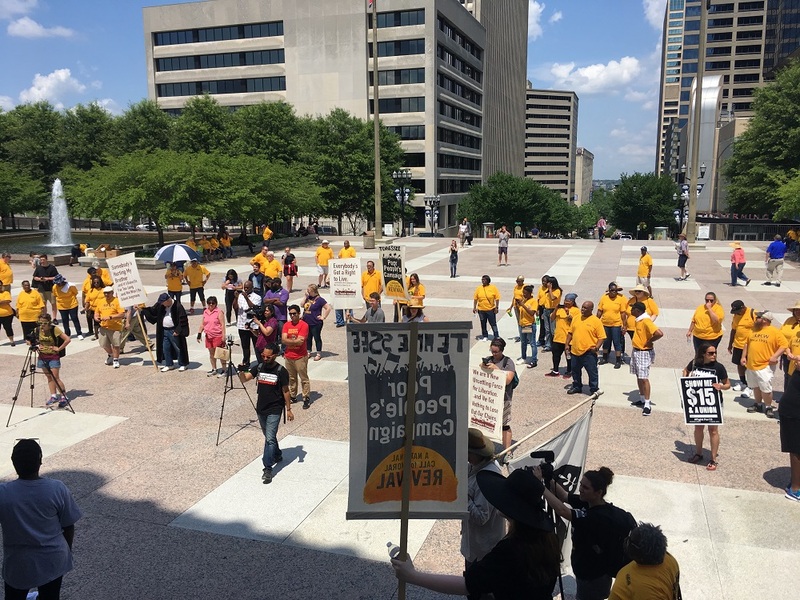 The HKonJ People’s Assembly Coalition is made up of more than 125 North Carolina NAACP branches, youth councils and college chapters from across the state, as well as members of over 200 other social justice organizations. UFCW Local 1149 Vice President and Walking Steward Mike Graves (left) and JBS Human Resources Director Stacey Santillan (right) present a check to Fisher Elementary School Principal Mark Lee. 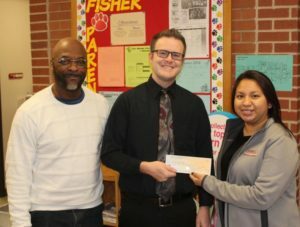 UFCW Local 1149 and JBS USA gave back to the Marshalltown, Iowa, community by providing $1,000 donations to six local elementary schools on Jan. 3. This is the second year that UFCW Local 1149 and JBS USA have donated to elementary schools in the Marshalltown Community School District. 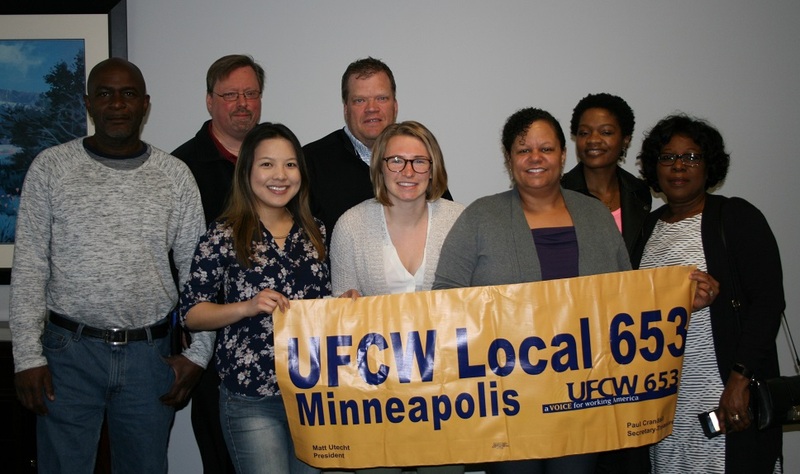 The donations, which come from a multicultural fund created by the UFCW and JBS USA, will be used to fund technology, literacy curriculum, playground equipment and other items for local elementary school children. Mike Graves, UFCW Local 1149 vice president and walking steward at JBS, and Stacey Santillan, director of Human Resources at JBS USA, delivered the checks to all six elementary school principals. 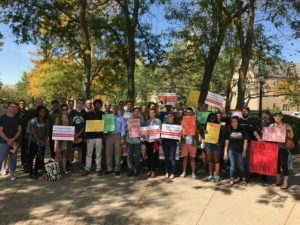 “It’s something we wanted to do for the community,” Graves said. 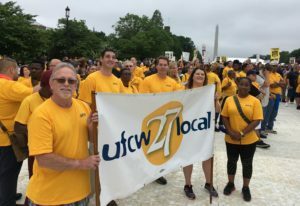 “We’re proud that our good union jobs allow us to partner with JBS to help kids in our community,” said UFCW Local 1149 President Roger Kail. 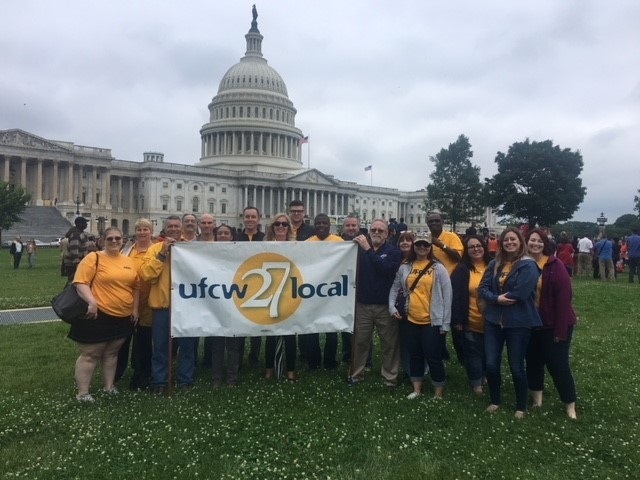 From hosting “giving trees” to organizing food drives, UFCW locals are kicking into high gear to help make the holidays a little brighter for those in need in communities across the country. 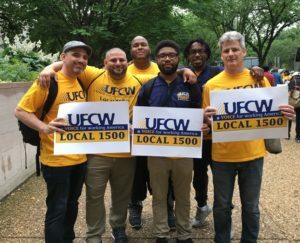 In the northeast, UFCW Local 1500 is organizing a Toy Drive for the John Theissen Children’s Foundation. 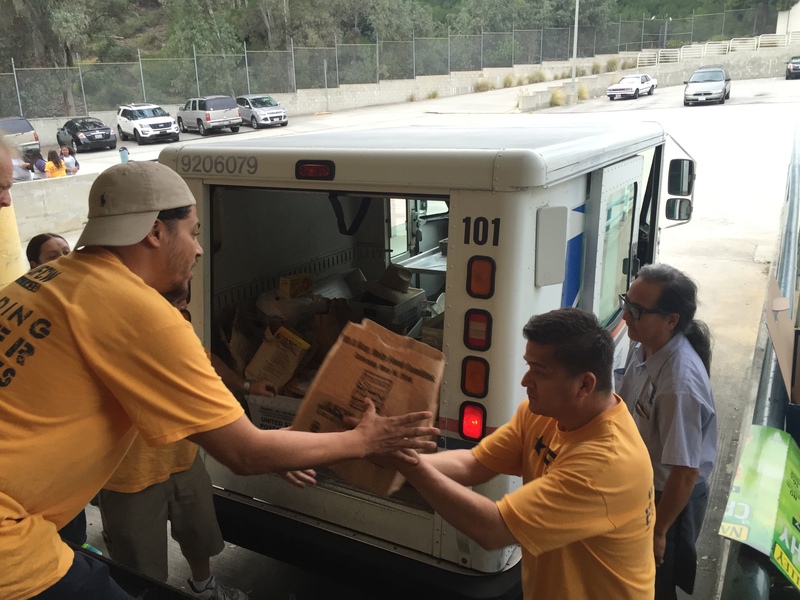 Since 1992, the foundation has collected over 920,000 new toys and donated them to sick and underprivileged children in hospitals and child care facilities. 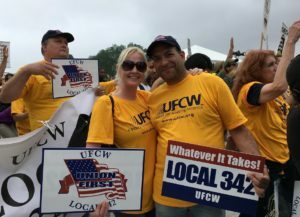 UFCW Local 152’s annual Teddy Bear Drive collects stuffed animals for Santa to give away at the holiday dinner dance for ARC of Burlington County, which provides a variety of disability services that include adult day care and in home supportive services. RWDSU/UFCW Local 338 members weren’t the only ones out making sure everyone could have a nice holiday feast. 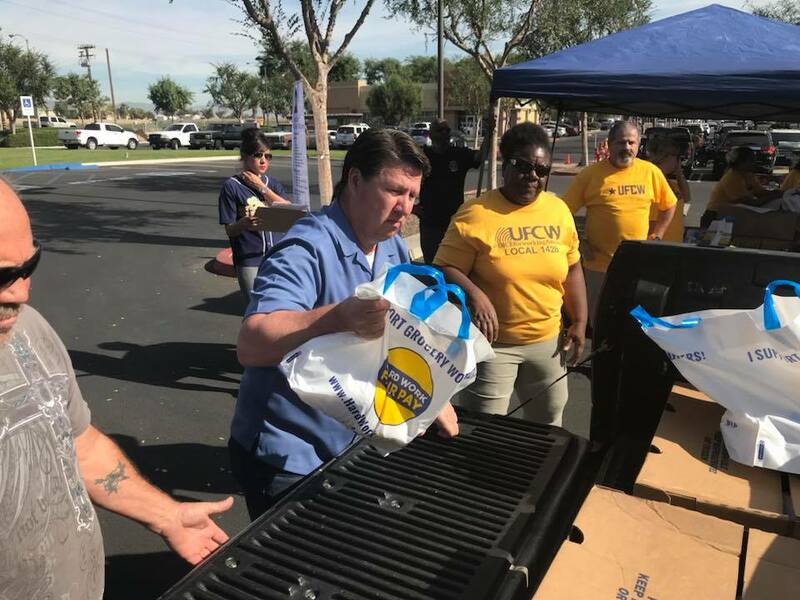 On the other side of the country, UFCW Local 1428 members in California held a turkey giveaway over the Thanksgiving holiday. Are you a UFCW member with a story of how union members in your area are giving back this holiday season? If so, please drop us a line at submissions@ufcw.org or send us your story on our Facebook page and let us know how you are making a difference in your community.